Cheryl Kilodavis was stunned when her young son first insisted on wearing a dress. Now she has published a book about him, in a bid to teach critics to accept his differences. (Daily Mail) For most young boys, dressing up as Spiderman and Buzz Lightyear would be the stuff of fancy dress fantasy. 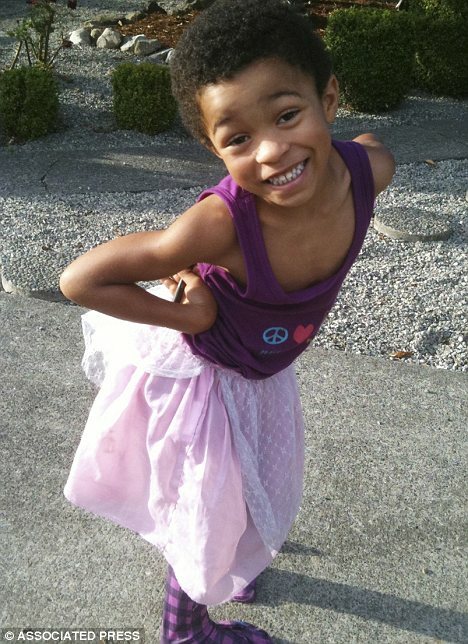 But not so for five-year-old Dyson Kilodavis, from Seattle, who insists on wearing dresses worthy of a Disney princess. Naturally, his parents, Cheryl and Dean Kilodavis, were concerned that this could make him an easy target for bullies, and when the tendency first emerged, his mother tried to deter him. But after several unsuccessful attempts, she decided that it was not her son, but his critics that needed to change, and she has now published a picture book about how there is nothing wrong with the way he chooses to dress. I believe parenthood is a shot at redemption as we try to guide our little ones to Christ and encourage them and ourselves to be better people through all of the trials and errors that come our way and I hate it when parents throw in the towel and let the child parent themselves by letting them have their own way and especially when it isn't at all healthy or good for them. If your trying to be your kids friend instead of your kids parent then your both going to find trouble and God is going to hold us parents accountable.